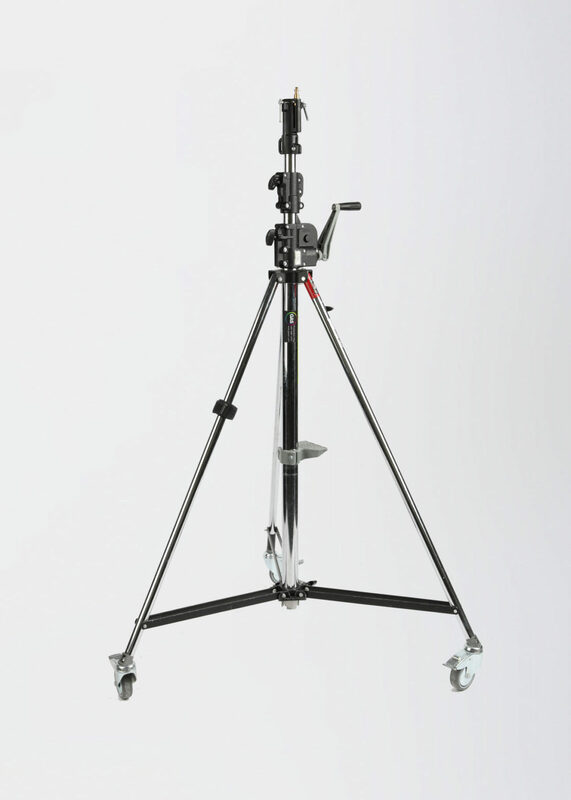 This is a 12′ stand with braked wheels. It’s a heavy-duty, chrome-plated steel stand that rises to a maximum height of 12′ feet. It features a fold-away crank handle (wind-up), and a leveling leg for uneven terrain.